1. Have other characters notice the difference. If everyone in your novel comes from the same world, they’ll probably consider each other (and themselves) accentless. It’s really only when we meet others that we’ll think about our own accents. But it was his voice that stayed with her the strongest; the timbre of it was imprinted on her ear, and there was nothing ordinary about it. It was rich and mellow, and there was something graceful in the careless rhythm of his speech. Not only does Penelope notice his accent, but she thinks of it in terms that reflect his character and upbringing. He’s never had to be careful about his decisions, used to a life of excess. His voice evokes these same images in Penny. 2. Have other characters reference it. Penelope understands her mother’s accent not only projects her social class but is also one of the biggest barriers to her mother being accepted by Nev’s family. 3. Let your characters use their own grammar, not yours and not your English teacher’s. Grammar can change based on region and class. Subtle grammar differences can help a reader hear your characters’ accents. 4. Spell a word phonetically. This is one that can backfire, so use is sparingly (and, like I said in a past post on accents, question every phonetic spelling that you’ve seen a lot because it could be hackneyed language). Penelope’s father refers at one point to “a dook.” Although I’m sure this won’t work for some people, I thought it was a brilliant reminder of his accent. Many upper-crust Brits pronounce ‘du’ as ‘jew’, so ‘duke’ sounds like ‘jewk’. Some regional British accents pronounce ‘du’ as ‘doo’, so ‘duke’ sounds the same way Americans say it. That’s why I’m not sure it’ll work for American readers who aren’t familiar enough with variations of British pronunciation and how they reflect class and background. It worked for me, though. Can you recommend any great novels that help you hear a character’s accent in a subtle, but effective way? And I think you’re right that subtle is the way to go. Last year I read a regency with a Scottish heroine. Unfortunately, the overuse of accented dialogue made me think she was uneducated rather than the proper “Lady” she was supposed to be. What made this impression more pronounced was that other characters from the same area didn’t speak in the same manner. Normally, I don’t like reading a lot of accents. Once I’m introduced to the character, I form their voice in my head. So, if I know their background, upbringing, etc., I read their dialogue to reflect my understanding of their dialect. The examples you gave show a fresh way of using dialogue. It’s just enough to give the flavor of an accent without force-feeding it to the reader. I’m glad you like the examples. 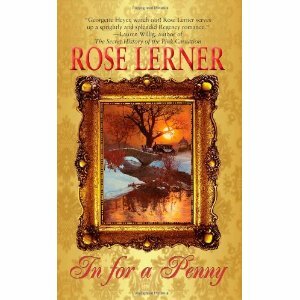 Rose’s novel is fantastic. And you’ve hit on exactly why I don’t like dialect-heavy novels – I also form their voices in my head. Actually, it’s the same reason I don’t like covers with a person’s face on them. I read because I like to use my imagination. I go to a film if I want a visual and aural experience that someone else has created. Accents can be very intrusive if the author makes a big deal of them, but your post illustrates how to use them in a natural way. It’s not just the sounds people make or the funny way they say things, it’s how that makes the other characters react to them. Glad you liked it, Roz! And thanks for pointing out that “jewk” isn’t just for toffs. 🙂 My husband pronounces it that way, and he’s certainly not a toff. But since the heroine’s brewer father in this novel was being contrasted with one, that was the contrast I was trying to make. Thanks for helping me make it clearer. This is a fascinating subject. Have you ever noticed people from the north of England love to use the word ‘not’? As in ‘I’ve not got’ instead of ‘I haven’t got’. And Americans say ‘I don’t have’. Perhaps we should build an online phrasebook. Brits definitely use present perfect more than Americans do. We (Americans) tend to use simple present or past instead, for example, with ‘already’ and ‘yet’ (“I already read that chapter”, instead of “I’ve already read that chapter.”) I remember this coming up when I was teaching English in Prague, using British textbooks. Some of the language felt so unnatural to me. Tiny differences, but they can make a character so much more authentic. Or the opposite – ruin a story for someone who’s intimately familiar with the culture you’re writing about. I love the idea of an online phrasebook, Roz. I’m sure there must be loads of them, but they’re probably geared toward EFL students instead of writers wanting to know how to create authentic characters. If anyone knows of one, though, I hope they’ll post the link in the comments here. Meredith Duran comes to mind first. She is a consummate historian and a pro at illustrating a character’s status and upbringing by using distinctive patterns of speech for each character. “Duke of Shadows” has characters from mingled clases, highly recommended. Ooh, yes, Duke of Shadows is one of my absolute favorites! I read it before I started writing romance, so I wasn’t looking out for things like this. Thanks for giving me an excuse to reread it! Lerner’s dialogue is just impeccable, isn’t it? Not only does she differentiate between characters of different backgrounds, but she really hits that sweet spot where the dialogue doesn’t sound modern, yet remains accessible to modern readers. Tremendously difficult to do, and she makes it look easy. She’s brilliant, Cecilia. I could read In for a Penny over and over. Ha. I have read it over and over. VERY helpful! One my characters has a Russian accent and I’ve been struggling with this quite a bit. Thx for the ideas! You’re very welcome, Nina! Glad it was useful. This is really a good resource, especially for me, because one of my characters has a noticeable Texan Twang.